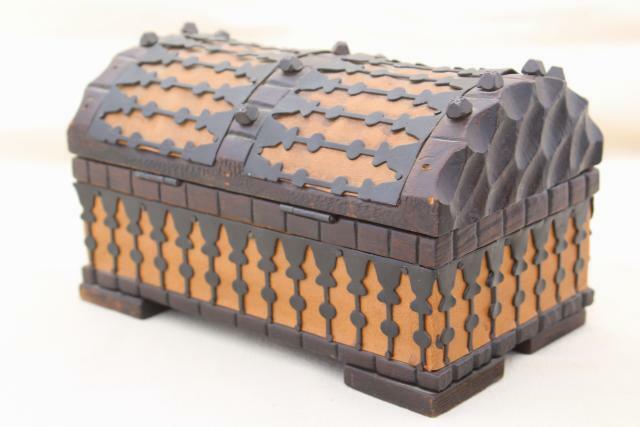 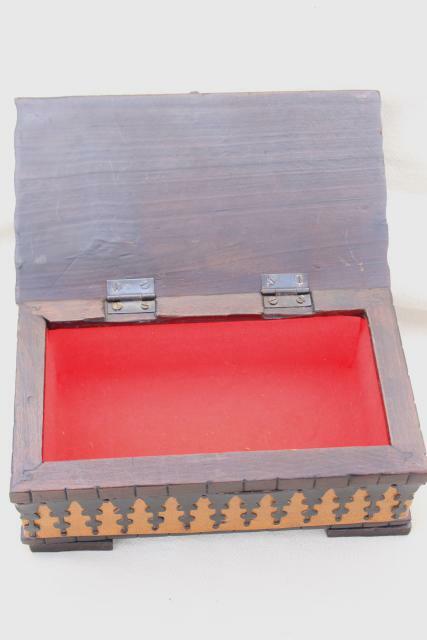 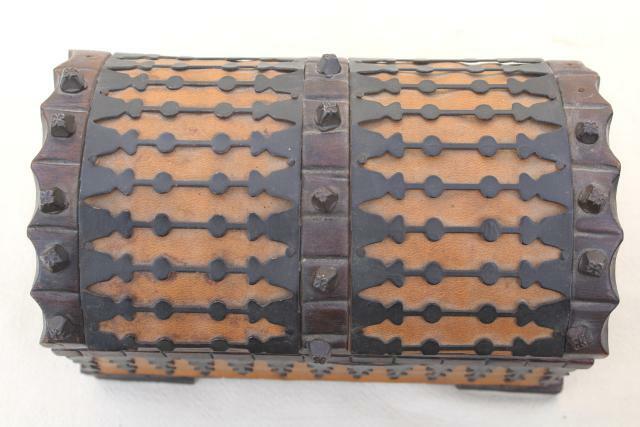 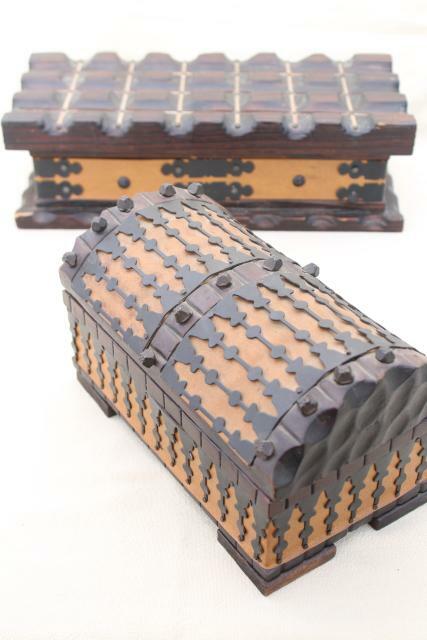 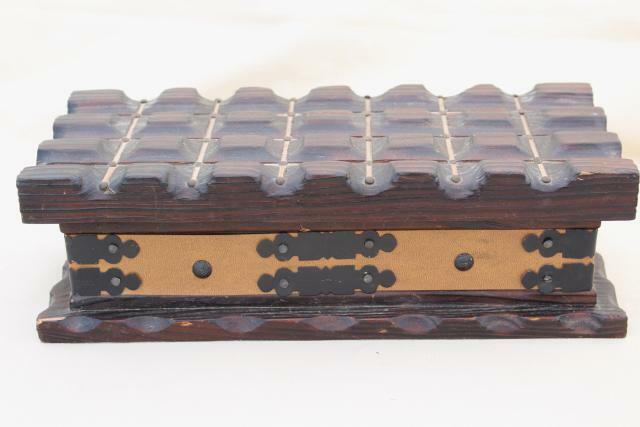 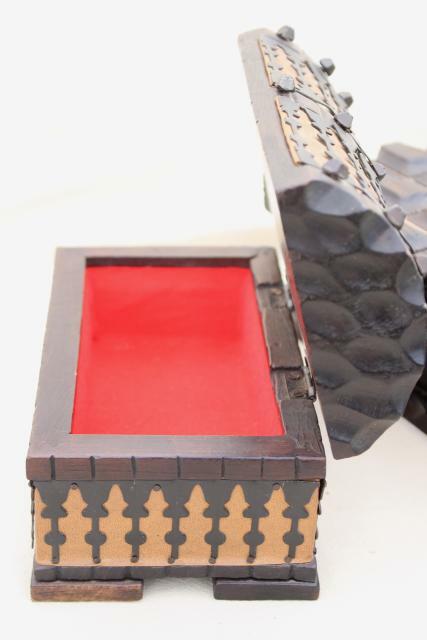 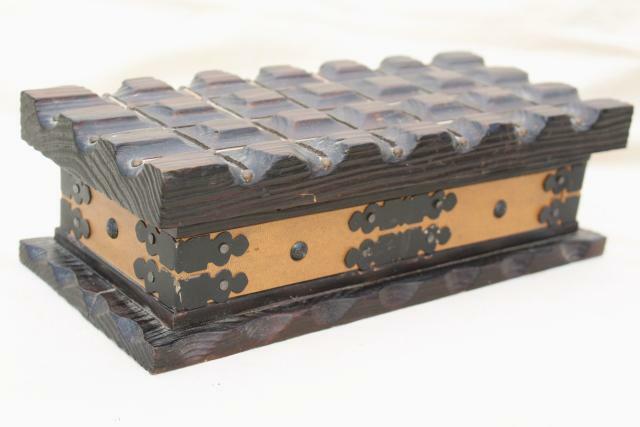 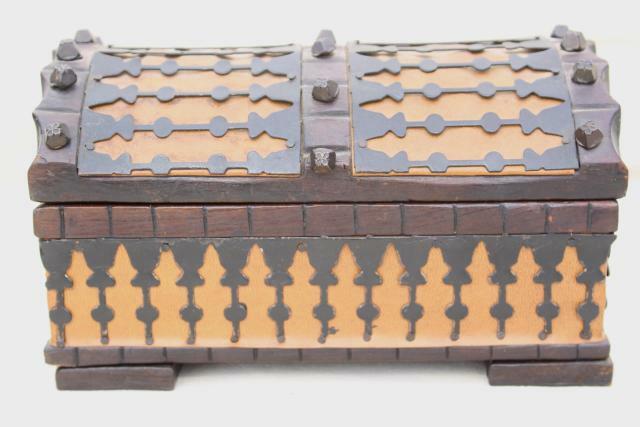 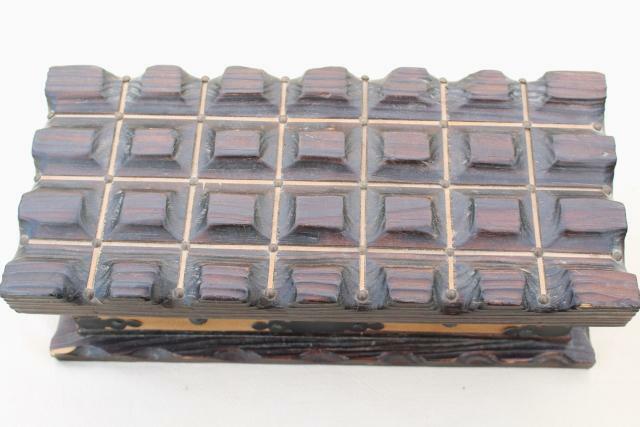 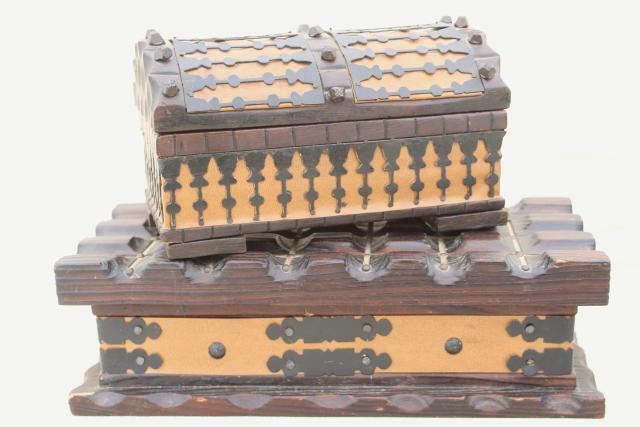 1970s vintage leather covered carved wooden boxes made in Spain... these are made to look like treasure chests! 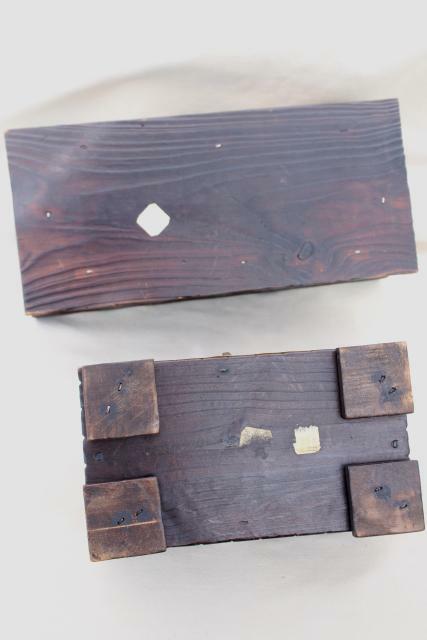 This is a lot of two boxes as shown. 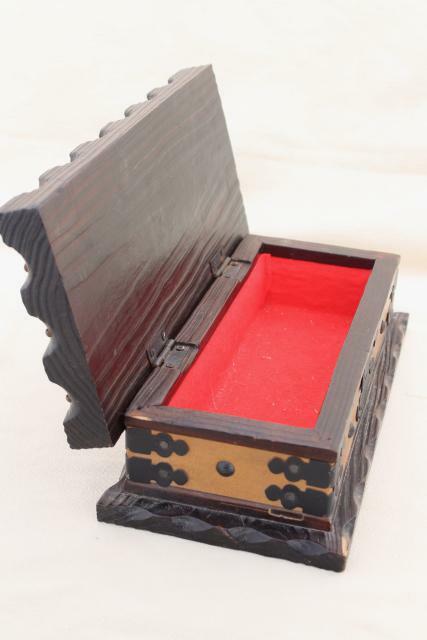 They're nicely sized to hold jewelry, small collectibles or other odds and ends. 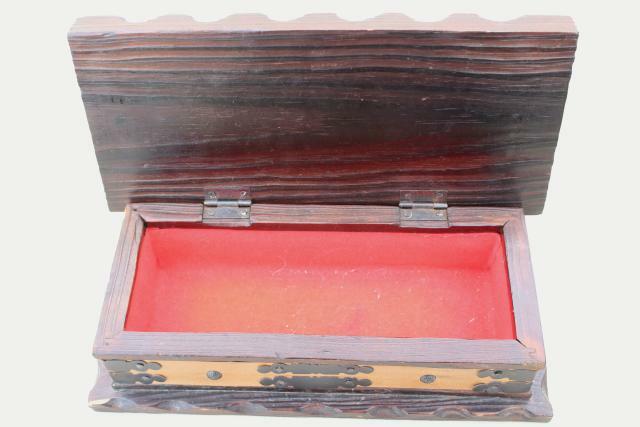 Sizes are 8" x 4 1/2", and 11 3/4" x 5 1/2". 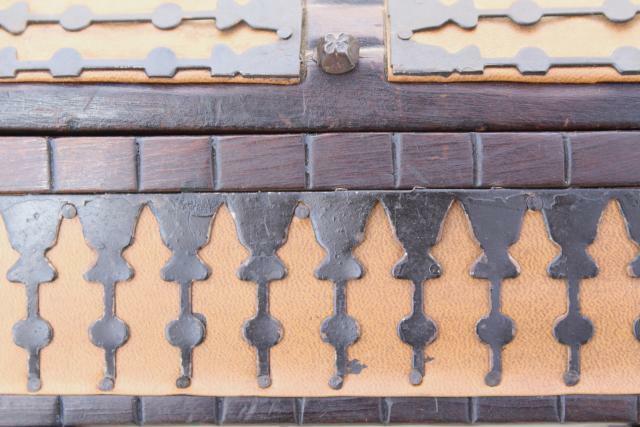 Both show a little age, wear and scuffing, some dust / soil, a little cracking to the leather. 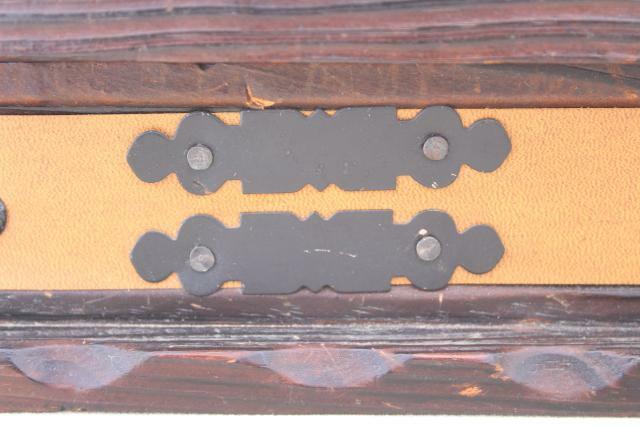 There's a few of the decorative nails missing, but it doesn't really detract from their time worn 'antique' look.